SBG Addendum: 13 Feb ’19 – AP Forum version. (Yesterday, 09:19 PM) P7_TOM Wrote: Hook, Line and Sinker. CASA, the DoIT, Ministers and many other ‘big guns’ are in deep do-do. 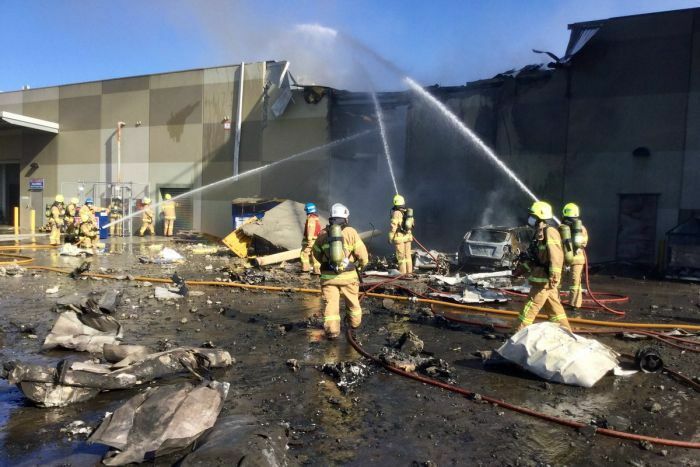 If the big underwriters ever get close to the flames, those emanating from the government assisted cooling of the fires lit by the Essendon DFO disaster; heads will roll; lots of ‘em. The ‘serious players in the insurance world and there are very few of ‘em must be farting blue lights. If the Unions – like the SDA – ever get down to brass tacks and see just how little insurance is available; or, may be legally counted on there will be hell to pay. Angel Flight is a worthy cause and has my full support – but it ain’t the headline; not anymore. The CASA smoke and mirrors deflection system is at full throttle. Why else resurrect the done and dusted AF drama. 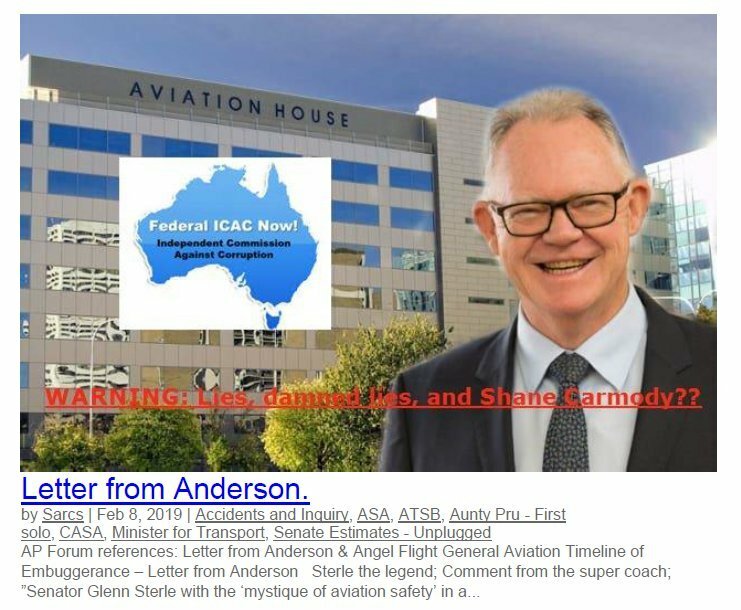 To perhaps avoid a Royal Commission asking why CASA appear to be and seem determined to continue taking no responsibility for the Essendon DFO accident at all. If not the much vaunted, all seeing, all powerful, all wise, ‘safety watchdog, then whom? –Now that is a question I should like answered – fat chance, right. 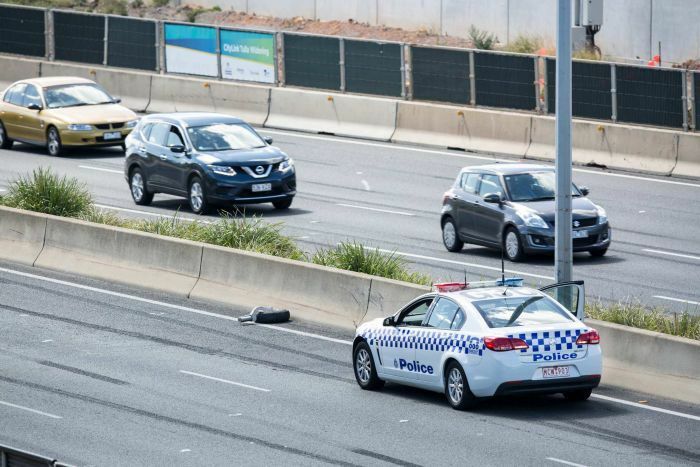 Just the other day, Robert Fisicaro, who works inside Essendon’s DFO shopping centre, was talking to a friend from the airport. An idle chat. “There’s gonna be an accident here,” his mate said. “This airport’s smack in the middle of suburbia. Planes are going to come down always. We’ve all been saying that. We say it in jest, but now it’s happened,” he said. “Our biggest problem here is one way in, one way out. The entry and exit points here are actually pathetic, so we’re very lucky. “Which is weird because we’ve got an entire two runways that run opposite our stores,” he said. It has always been the view of locals that Essendon’s buffer zone is not big enough and compares poorly with the buffer zones for other airports around the country. In 1978 a family was incinerated when a light plane crashed into their house in Airport West — a gas heater in their house ignited fuel from the aircraft’s ruptured wing tank. Seven years later in 1993, a plane crashed into houses without killing anyone in what was dubbed the “Miracle on Gilbertson Street”. 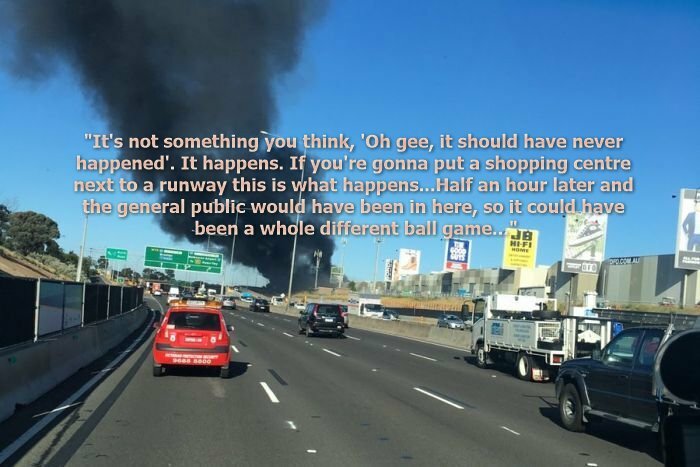 “It’s tragic mess,” said resident Helen van den Berg, who used to organise a group of residents called the Close Essendon Airport Campaign. Some of the strongest pushback against relocating it comes in the form of the argument that it’s an essential location for police and emergency services, crucially close to city hospitals. “You see a tragedy like this and think of the decades and decades of people who’ve tried to highlight the safety concerns,” said resident Helen van den Berg. “If this was a grass field as it used to be, it could be a different situation,” Mr Diamond said. “It’s an increasing problem at airports around Australia. We’ve put in multiple submissions to government on this,” he said. Essendon Airport chief executive Chris Cowan said counselling would be available for any DFO staff and the airport’s emergency plan covered all contingencies “from minor to full scale emergencies including on airport and off airport responses”.